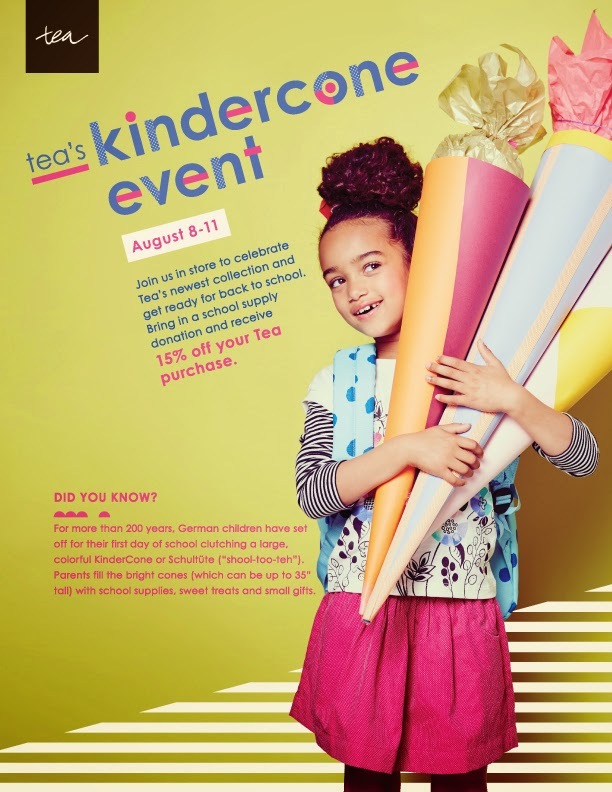 Fiddlesticks is hosting a German back-to-school themed store-only event with the Tea Collection, inspired by the KinderCone.The KinderCone is one of the most celebrated traditions in Germany. At the start of every school year, parents fill large cones with school supplies and other treats to get their children ready and excited for school. Join us as we bring this tradition to San Francisco! Bring in a school supply donation or make a cash donation during your visit, and we will take 15% off all Tea items purchased. We will have coloring books for kids to keep them busy while parents shop. All donations will be given to the local public school, Daniel Webster Elementary. We look forward to seeing you & getting your little one ready for the start of school!